Greetings! This is my resumé. I have 10+ years of professional experience in domains that intersect basic science research, software and database development, data mining and analysis, business process management, marketing and writing, as well as extensive computer graphics experience. Do you have challenges to solve? Tight deadlines? High expectations? Contact me! After my career start at Vanderbilt as a postdoctoral fellow, I have transitioned into the exciting field of research informatics. I have applied my quantitative and creative skills to solve technical, managerial and leadership challenges. 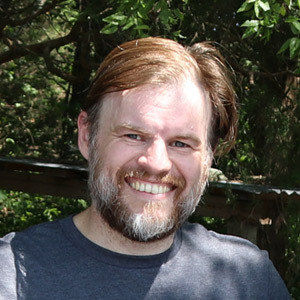 My recent projects at Vanderbilt include overseeing the informatics and bioinformatics efforts of the Beta Cell Biology Consortium (a model and highly successful NIDDK-sponsored research activity), Labnodes (a Vanderbilt basic science research network), and the pilot phase of dkCOIN (a multi-consortium metadata loosely-federated web service platform). Symmation is a small studio that interests arts and sciences, in a way that provides convincing story-telling of complex and exciting scientific and medical advances. Think data processing and analysis, illustration and static media development, interactive web media, video and animation. SKOOGE, as part of the Symmation network, specializes in web and consumer media development (print and web). From corporate logos to spreads and brochures, from small websites to large database-driven web applications, SKOOGE can cooperatively help clients reach their goals. I spent a year in the laboratory of Dr. Munirathinam Sundaramoorthy at Vanderbilt University Medical Center, working on a small-scale structural genomics foray into sialic acid synthases and collaborated with Dr. Billy Hudson on the NC1 domain of Type IV Collagen. After rotations with Dr. Harry Haigler, Frances Jurnak, and Hartmut Luecke, I committed to focus my graduate work on the structural studies of membrane proteins under the supervision of Dr. Luecke in the Department of Molecular Biology and Biochemistry. My dissertation ultimately consisted of X-ray crystallographic studies performed on Annexin XII, bacteriorhodopsin and structural bioinformatics development to identify and characterize π-bulges. I attended Cook College at Rutgers and specialized in biotechnology and biophysics, eventually leading to a Bachelor of Science with High Honors. I also started performing research in the labs of Drs. Claudio Pikielny and Bradley Hillman. I attended La Grande Boissière from 11-13th grades and obtained my International Baccalaureate.